I’ve been writing quite a bit about Croatia lately not only because I went and visited but because there are a lot of young and dynamic winemakers who are making excellent wine. I recently wrote about my visit to Bruno Trapan and another young winemaker I’d like to spotlight is 25 year old Ana Persuric of Misal Vineyards. Ana and her sister Katerina have taken over from their father who first started producing sparkling wine in 1990. 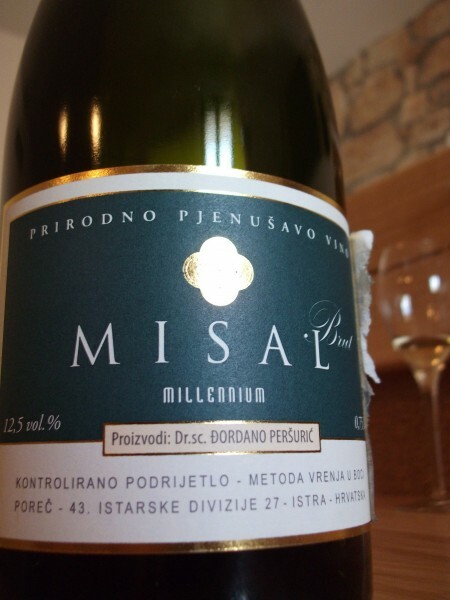 Misal are the only 100% sparkling wine producers in Croatia. I visited Ana one Saturday afternoon and after a tour of the winery, we got down to business in the brand new tasting room they built. The room is new but it’s in an old farmhouse that is centuries old. Click on the vid to hear Ana talk about her zero dosage 100% blanc de blanc. A big thanks to Trevor and Judith of PactaConnect who introduced me to Ana and her wines. Thanks to your post i will give it a try ..